Need a fast, easy, and convenient way to process a payment? 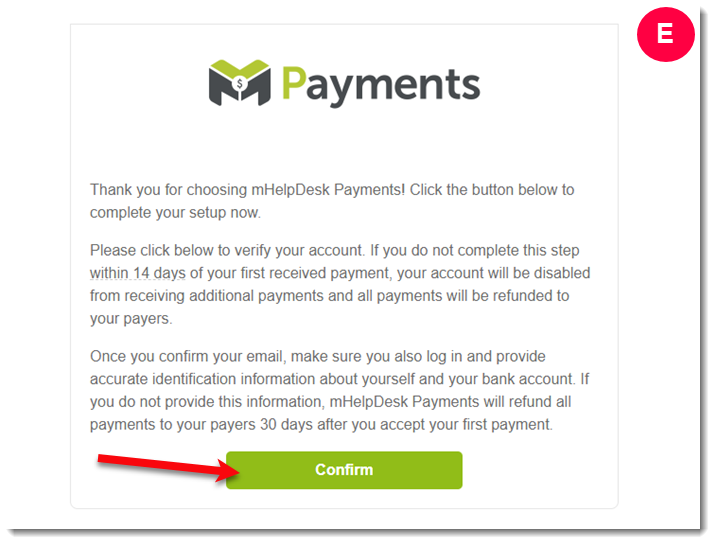 mHelpDesk Payments is the fastest way to accept payment directly through your mHelpDesk account. You can process a payment up to 6x faster than check, so you can stop chasing slow, late, and missing payments. Completely integrated, you no longer have to process payments in a third-party app, which eliminates double data entry. mHelpDesk Payments is also the easiest payment processing option because it allows your customers to pay by credit card, debit card and even their bank account. For your convenience, you'll have dedicated mHelpDesk support, with no 3rd party you have to try to get ahold of for any questions you might have. 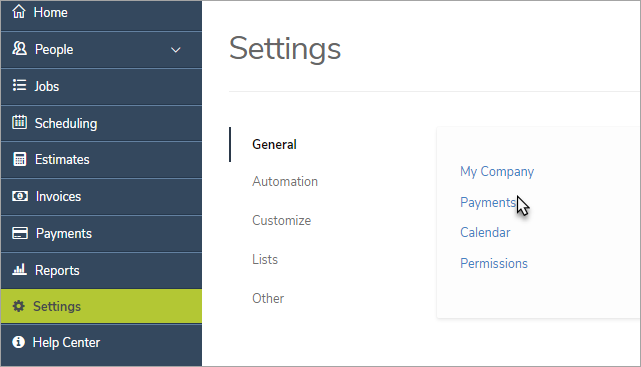 In your mHelpDesk account, begin by clicking on the Settings tab on the left side of your screen. 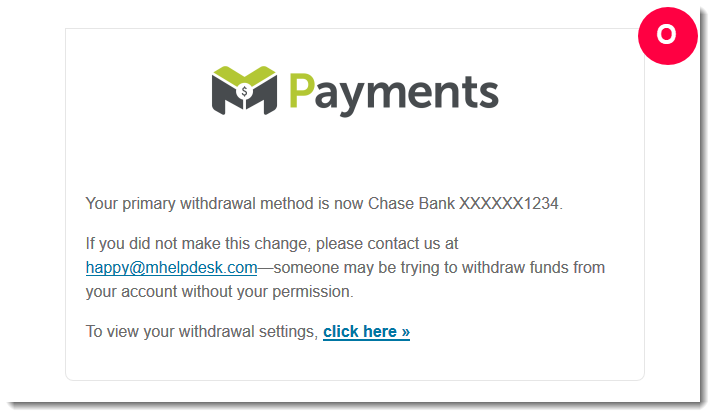 In the mHelpDesk Payments module, click Set Up. You will then receive a Thank You screen (screenshot C). Check the email inbox that you entered under the Payments Account field. 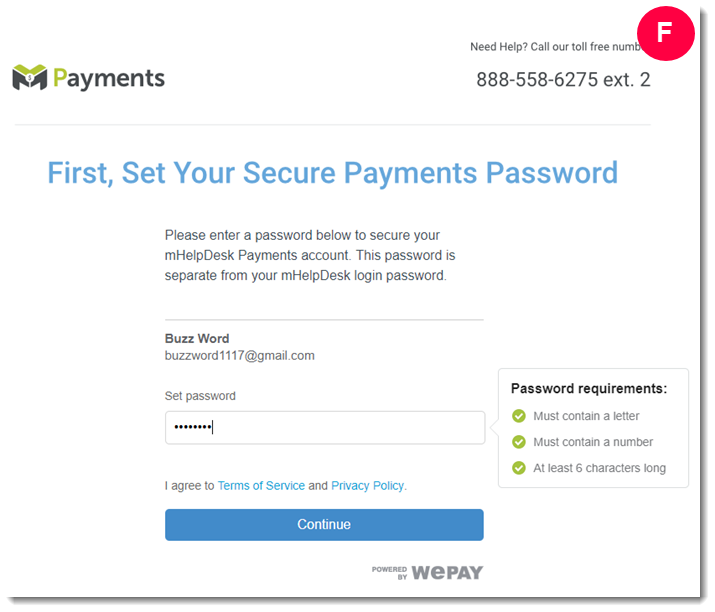 Open the email in that inbox from mHelpDesk Payments via WePay (screenshot D). 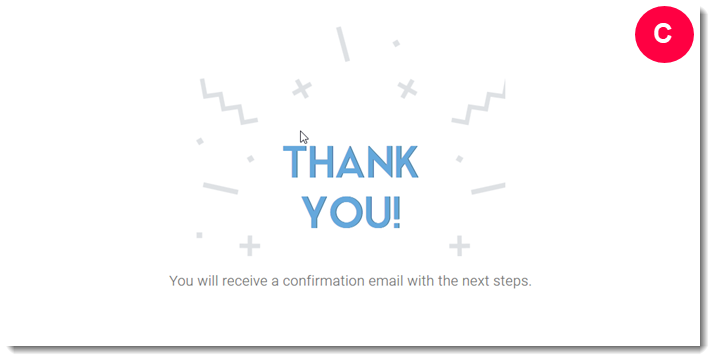 Click on the Confirm button (screenshot E) found in the email. Make sure to log into your mHelpDesk Payments account here! 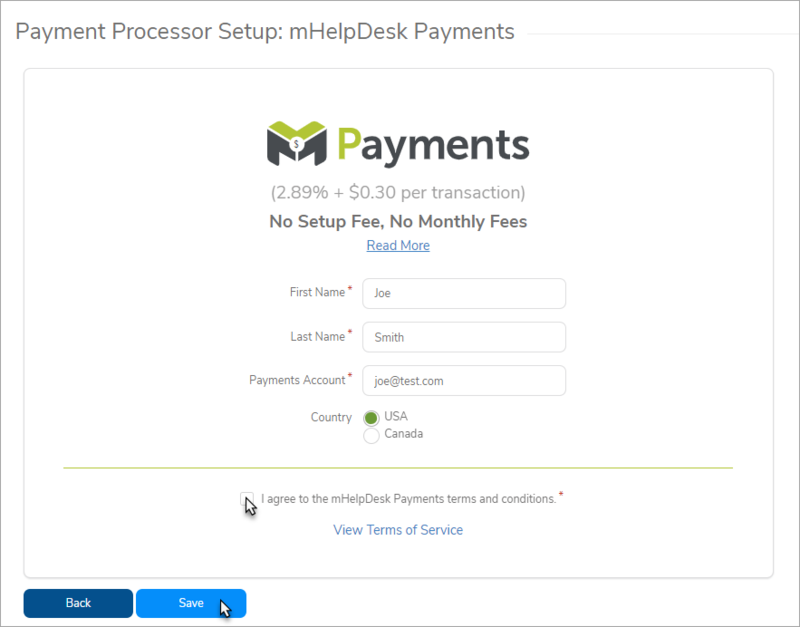 Now you're ready to begin processing payments using mHelpDesk!